E.R.A.S.E stocks a large selection of standard refrigeration and cold room ancillaries. Any non standard parts can be custom manufactured through our network of authorized suppliers. 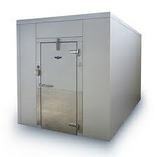 We have trained technicians and fitters dedicated just to the repair of refrigeration and freezer rooms.